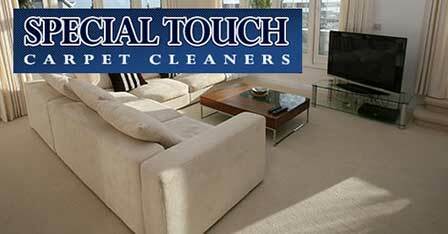 With SPECIAL TOUCH CARPET CLEANERS, you get 5-star treatment for all your Cleveland & Akron, Ohio carpet cleaning and upholstery cleaning needs. We’ve been serving the Cleveland and Akron area since 1986. We serve all of Lake, Geauga, Cuyahoga, Lorain, Medina, Summit, Portage and Stark counties with friendly technicians and state-of-the-art carpet steam cleaning and dry-cleaning equipment. OUR PROMISE: To strive for excellence, provide the best service, and continue to innovate to increase value in exchange for your hard-earned money. 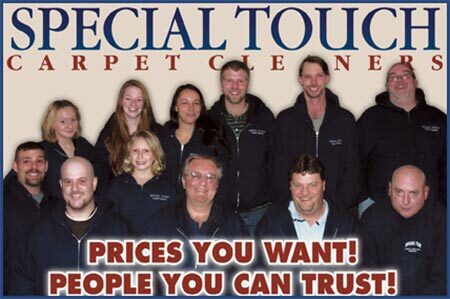 With SPECIAL TOUCH CARPET CLEANERS, a premium job doesn’t cost you extra. As the Cleveland & Akron area’s best carpet & upholstery cleaners, our repeat customers have us back time after time because we treat them like family. WE ANSWER OUR PHONES! You will love our knowledgeable staff! We answer our phones live Monday – Saturday! NO SMALL PRINT! The price we quote is the price you pay! To strive for excellence, provide the best service, and continue to innovate to increase value in exchange for your hard earned money. Not all carpets are the same! At SPECIAL TOUCH, we specialize with pride! Our team of technicians are certified & equipped with state-of-the-art steam & dry-cleaning equipment. We replace our fleet every two years. ★ INSPECT CERTIFIED technicians advise you of the best method for your carpet based on fiber, age of carpet, your lifestyle, & condition of carpeting. ★ PRE-SPRAY included at no added charge. ★ PROTECT SPECIAL TOUCH PROTECTOR INCLUDED! Call your local carpet cleaners Cleveland East Side: 330-656-1915 or 440-734-9905, Cleveland West Side: 440-734-9910 or 440-734-9905, Akron 330-945-6990 or 330-655-5120 for professional carpet cleaning services.